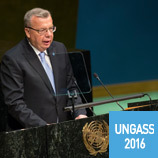 UNODC Executive Director, Yury Fedotov, urged the international community to seize the opportunity provided by the UN General Assembly special session (UNGASS) on the world drug problem to address shared challenges. He also pledged UNODC's support for putting the session's recommendations into practice. In September 2015, global leaders adopted the 2030 Agenda for Sustainable Development, and with it the new Sustainable Development Goals (SDGs). 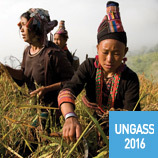 During the UN General Assembly Special Session on the World Drug Problem (UNGASS) in April, a high-level event was held on the complementarity between both. 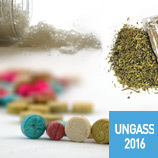 In 2012, the Commission on Narcotic Drugs expressed its concern over the rapid emergence of new psychoactive substances (a.k.a. 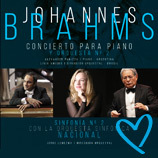 NPS). More than 640 individual substances have since been reported to the UNODC Early Warning Advisory, and over 100 countries and territories from all regions of the world have reported one or more NPS. Under the slogan 'Listen First' a new campaign on science-based drug prevention has been launched to raise awareness around listening to children and youth as the first step to help them grow healthy and safe. The campaign targets parents, teachers, policy makers, health and prevention workers particularly, as well as the wider public. 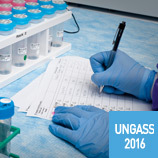 Coinciding with the UN General Assembly Special Session on the world drug problem (UNGASS 2016) which took place this month in New York, UNODC, together with the Government of Germany, organized a side event on the role played by quality scientific research in addressing the use, supply and trafficking of drugs. The Executive Director of the United Nations Office on Drugs and Crime (UNODC), Yury Fedotov, underscored the need for balanced approaches to drug challenges at the opening of the UN General Assembly Special Session on the world drug problem (UNGASS) in New York this month. 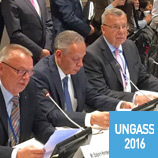 UNODC Executive Director, Yury Fedotov, highlighted the role of civil society in promoting balanced, integrated and evidence-based approaches to illicit drugs during the high-level opening of the Civil Society Forum ahead of the United Nations General Assembly Special Session on the World Drug Problem (UNGASS 2016). 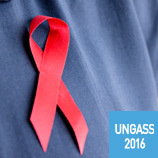 On the sidelines of the UNGASS held this month in New York, scientists presented key findings and recommendations on HIV prevention, treatment and care among people who use drugs. According to them, sharing of injecting equipment are key drivers of HIV and hepatitis C epidemics and their ongoing spread among people who inject drugs. UNODC's Corruption and Economic Crime Branch, together with Mauritius' Independent Commission Against Corruption, recently organized a Model Conference for 90 young people from 45 schools across the country. 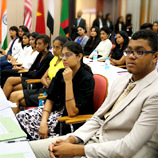 The participating high school students gathered to discuss potential anti-corruption measures in Mauritius that could potentially be presented to the States Parties of the United Nations Convention against Corruption. 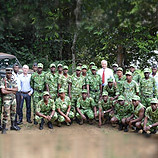 UNODC's Global Programme to combat wildlife crime is making significant headway in Gabon with programme operations ready to be formally handed over to the country's national parks agency. The aim with this handover is to enhance investigation strategies and improve the gathering of intelligence around wildlife and forest crime and is the first of its kind in the country. Operating across a variety of countries and utilizing a range of legal and illegal methods, migrant smuggling generates thousands of dollars for criminal organizations, who profit from people's vulnerability. 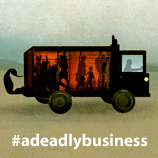 UNODC's office in Mexico recently presented its latest awareness raising campaign on this crime - #ADeadlyBusiness. A Blue Heart Gala was recently organized at the Balboa Theatre in Panama City to raise awareness around the plight of victims of human trafficking and promote UNODC's Blue Heart Campaign. The Campaign is a global initiative to combat human trafficking and raise awareness around its impact on society. To date, it has been adopted by 14 countries, and seeks to encourage involvement and inspire action to help stop this crime. For many years, UNODC has implemented alternative development initiatives in Colombia by providing technical assistance to over 100,000 family farms that were previously dependent on illicit crops for income. 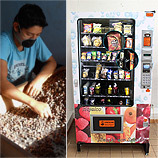 The products of sustainable farm enterprises have now moved one step closer to home as alternative development products are available for purchase at UNODC's central office in Bogota. 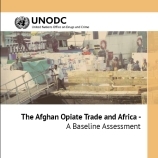 Released earlier last month by UNODC, the Afghan Opiate Trade and Africa - A Baseline Assessment 2016 sheds new light on the illicit Afghan opiate trafficking situation in Africa. The report offers a much needed evidence base to support policymakers and law enforcement officials in understanding the trafficking of Afghan opiates into and across Africa in order to help in the development of an effective and coordinated response.